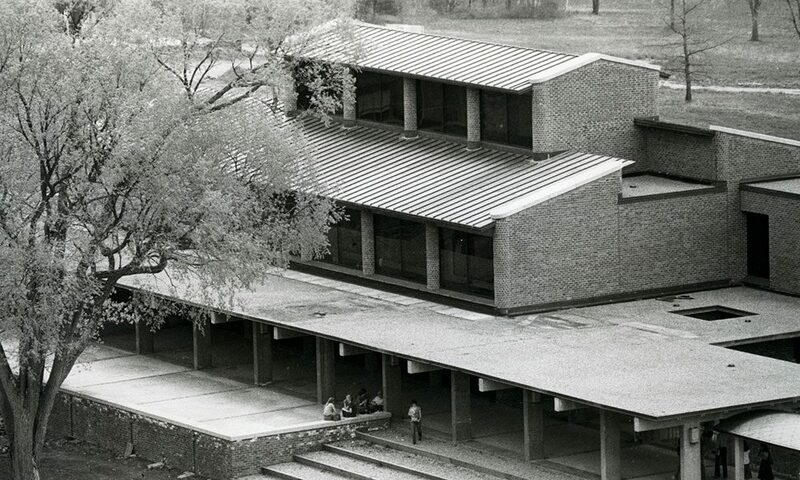 How the Saratoga campus ended up looking so much like Trinity University's. Recently, my dad, who taught Shakespeare at Skidmore for more than four decades, mentioned something to me about the college that I’d never heard before. Apparently, the architect behind its “new campus”—the one that’s cut into the North Woods at the end of Broadway—had also designed a college in Texas, and the two campuses mirrored each other. Like any journalist worth his salt, I set out to investigate his claim, and while the story turned out not to be 100 percent accurate, it seems there’s some truth to it. When Texas architect O’Neil Ford signed on to design Skidmore’s campus in the early 1960s, his firm had a lot on its plate. Beginning in the late ’40s, it had begun a major project at Trinity University in San Antonio, one that would consume more than 20 years—and run concurrently with the Skidmore project. One can only infer, then, that there wasn’t much time to come up with a completely unique design. 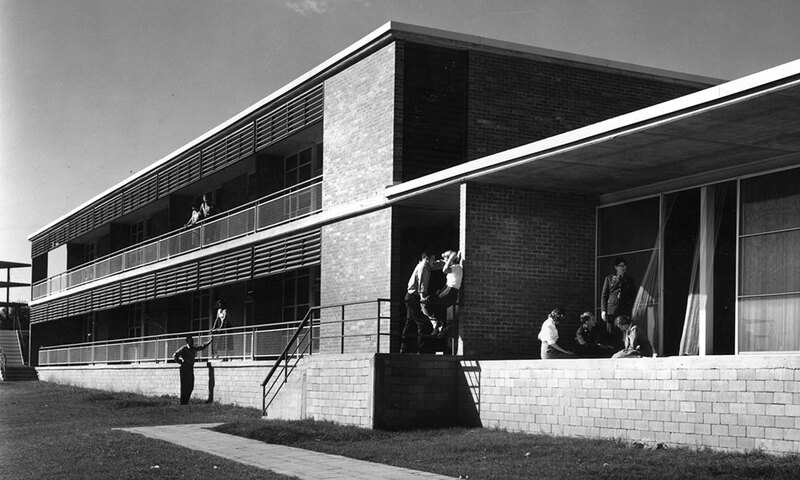 In fact, per David Dillon’s book The Architecture Of O’Neil Ford: Celebrating Place, the plans for Skidmore “drew extensively on the work from Trinity.” In some cases, similar elements were incorporated, like the use of bay windows.